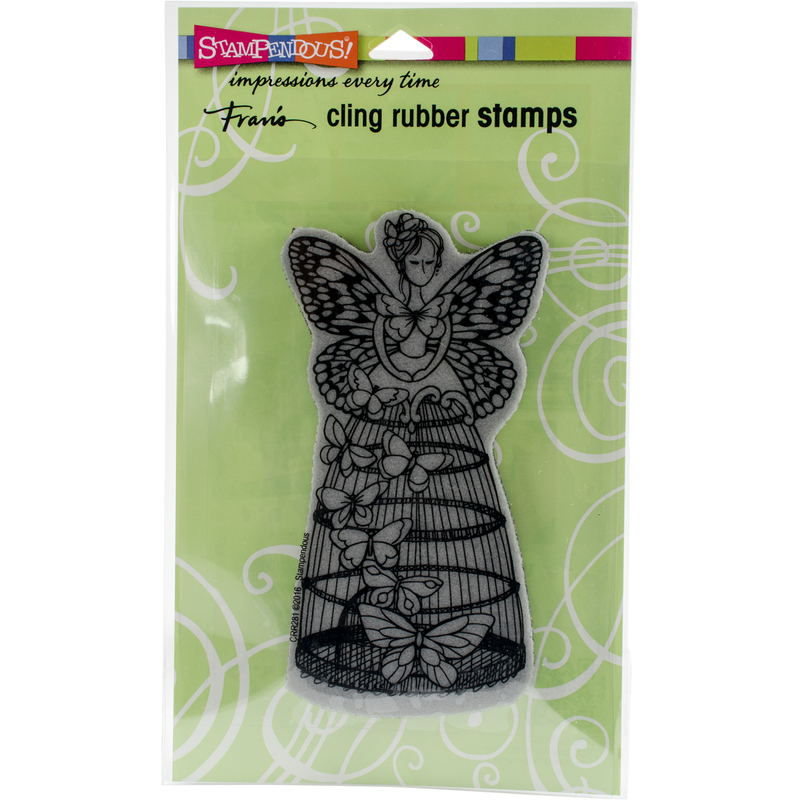 Stampendous- Cling Rubber Stamps. Premium quality precision trimmed rubber stamps that give you a beautiful image every time! Use with any acrylic block (sold separately). Simply remove the disposable acetate layer revealing the vinyl cling with printed image, press onto a block, align and stamp! Use any ink that can be used with traditional wood-mounted stamps and clean with wood-mounted stamp cleaner. This package contains Butterfly Aviary: one cling rubber stamp on one 4x5-1/2 inch backing sheet. Made in USA.